Sally Prima Shell is like Blue skies ahead! 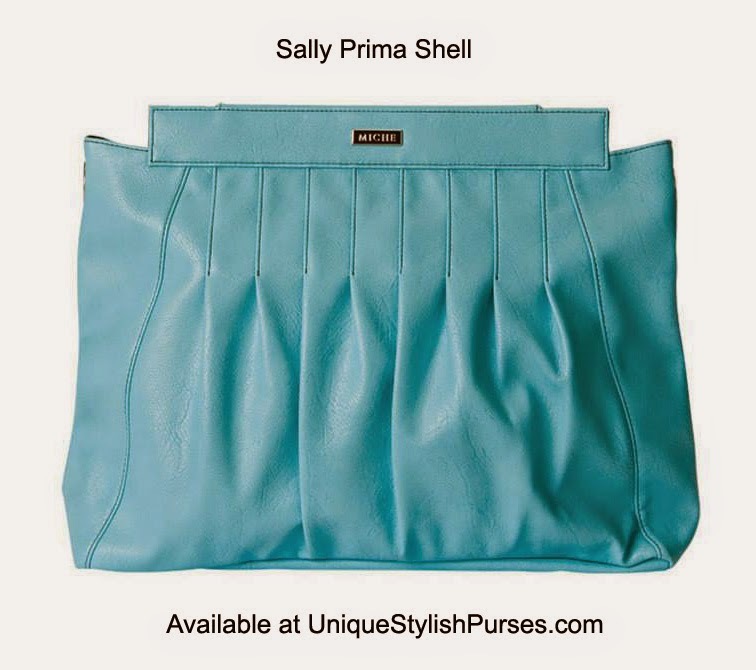 The Sally for Prima Miche bags features a neon shade of aqua that’s super-trendy and perfect for summer. Perfectly-placed pleating and chic black contrast stitching complete the look. Back zippered pocket with silver hardware.